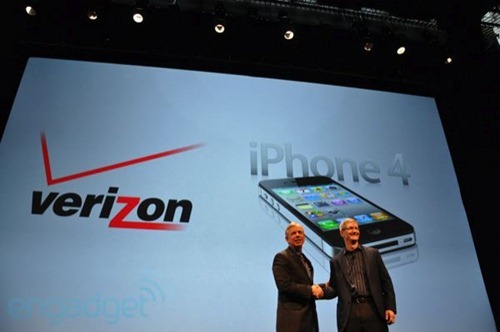 As was expected, in an event held in the New York City, Verizon Wireless’ President & COO Lowell McAdam has announced the much anticipated arrival of Apple iPhone on Verizon’s network. As we showed at CES last week, we’re building on these partnerships with LTE — it will make broadband even richer for customers. That’s including a whole new range of smartphones and tablets. One analyst said ‘we displayed an armada of new devices. Today we’re partnering with a giant of the industry, and that’s Apple. Later, Apple’s COO Tim Cook also joined him on stage to announce the partnership between Verizon Wireless and Apple Inc. I am incredibly happy to be with you all today. We’ve been looking forward to today for a long time. Since 2007 the iPhone has been a phenomenal success. Tens of millions of customers have purchased the iPhone around the world. Customers have downloaded billions of apps. I am incredibly happy, and I can tell you all of Apple, is very very excited to bring the iPhone to Verizon’s customers. The CDMA based (non-LTE) iPhone 4 on Verizon has all the same features as the regular iPhone 4 on AT&T, including: FaceTime, Retina Display, 5 megapixel camera, HD video recording, A4 processor, App Store etc. 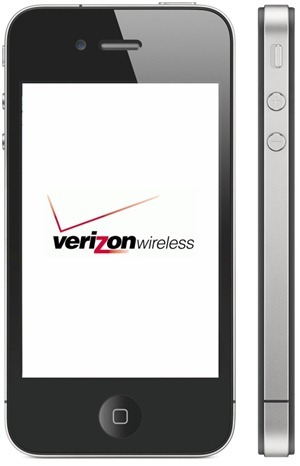 The Verizon iPhone 4 will go on sale on February 10th, for $199 (16GB version), and $299 (32GB version) on contract. Mobile hotspot will be included, for connecting up to 5 devices. Pre-orders begins February 3rd.